After a long hot summer (and an equally long and inexcusable break from blogging) when there was little to do in the grove other than watch the olives grow, it’s finally time to get back to work. 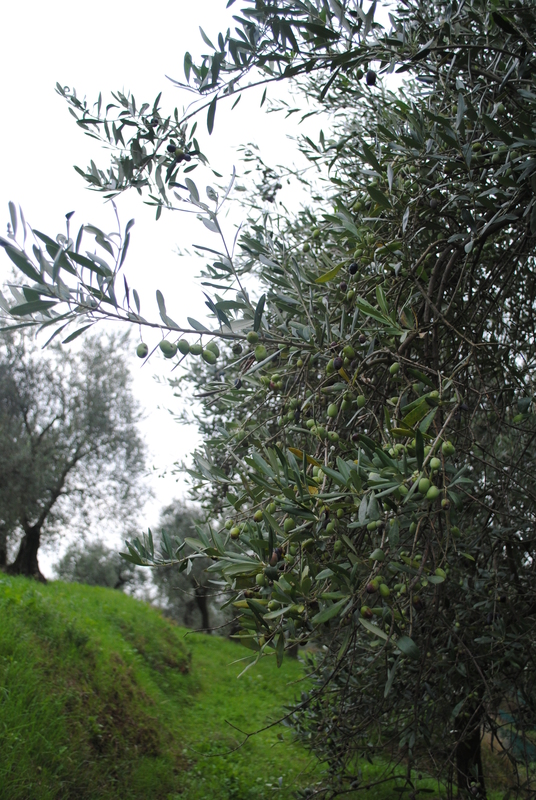 For olive farmers, autumn means one thing: harvest time. Following the last-minute scramble of last year’s harvest, which for bureaucratic reasons was delayed until late November, this year we were determined to be more organised. Equipment has been cleaned and checked. We’re now fully paid up members of the local olioficio sociale, the cooperative frantoio (oil press) frequented by local farmers, and have pressing appointments booked from now until Christmas. Our Protected Geographic Indication (IGP Toscano, del Montalbano) certification has finally arrived, meaning we will receive a higher price for our oil. The harvest this year is relatively small (olives have a tendency to biennial cropping) so we’ve decided to sell our oil directly to the press (who produce their own blend) this year and start with our own brand next year. Most importantly, invaiatura – the change in the colour of the fruit from unripe green to shades of lilac, red and purple – has begun, signalling that it’s time for us to start harvesting. Timing is crucial: press too early, and the oil yield will be too low. 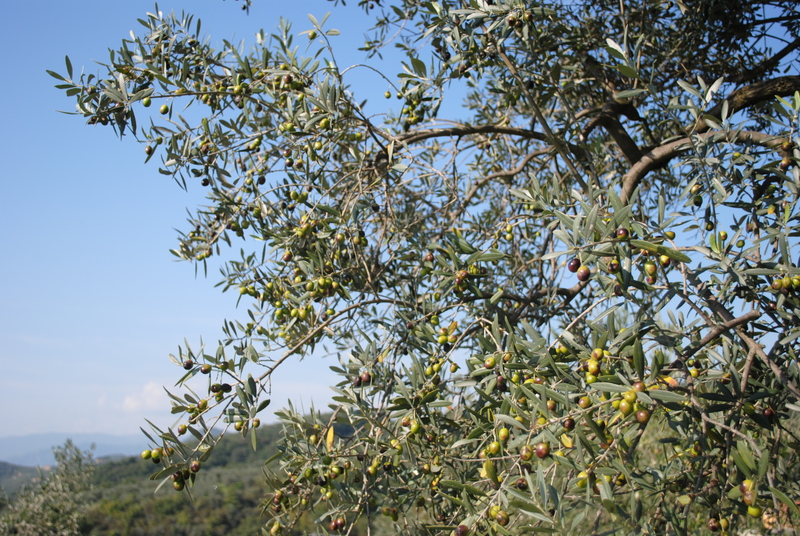 Press too late and the fruity, pungent flavour for which Tuscan oil is famed will be less concentrated. 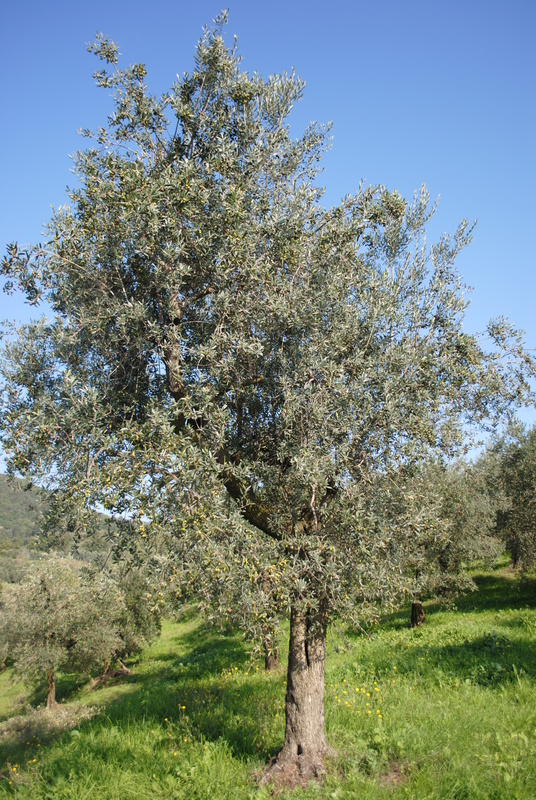 In keeping with local tradition we pick our olives just as invaiatura is starting, resulting in a low yield but high-quality oil which has a more concentrated flavour, higher levels of anti-oxidants and a longer shelf-life than oil made from fully ripe olives. The olives look beautiful, it’s also good to see you back on line! Nice post. 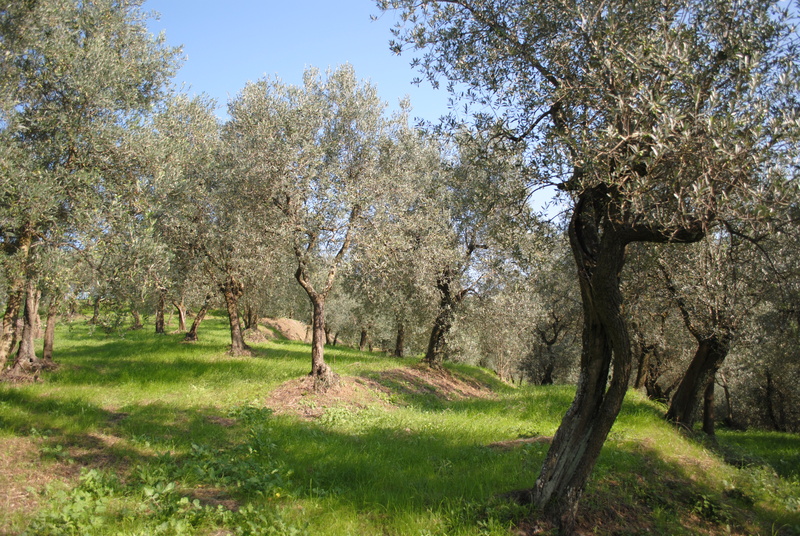 Good luck with your harvest – some people say that you should pick the olives before dawn because they’ll taste better! Hmm, that’s one piece of advice I think we’ll decline to follow! Great to read you again! The olives look ripe for the pickings,mew have just got home from celebtprating our landlords first press…..the oil is like nothing I have tasted. Thanks! New oil has a special taste, doesn’t it? We tasted ours today too (I’m a couple of days behind with my posts)… I’d forgotten how strong the flavour was. Absolutely, the taste is very unique and I feel very privileged to be invited to taste it! I love your blog! It is very informative and well written. I wish I had known about you sooner as my quest on this trip was to learn all I could about olive oil. I’d love to connect with you the next time I’m in Lucca. Is your oil for sale? Thanks for the compliments! We’re glad you enjoyed reading. From your blog it looks like you had a good visit, but do get in touch with us next time you are in Tuscany, via the blog or by email (details are on the ‘about us’ page). For various economic and bureaucratic (this is Italy, after all) reasons, this year we are selling our oil directly to the local press, who produce their own blend. We hope to start selling our own oil directly to customers from next year’s harvest. Ciao! Katie and Michele. The photos are beautiful, especially the second one showing all the trees. My sweetie and I LOVE olive oil. Good luck on your venture. Thanks, they’re beautiful trees, aren’t they. Lovely to see you back and good luck with the harvest! In boca di lupo con questo anni di raccolto! Grazie! And yes, raw olives look lovely but they are disgustingly bitter! I won’t make that mistake again! My stupid site only posts my hair site which I haven’t been writing on since I moved to Italy. So you can find my new site at lostiniltalia.wordpress.com I have no idea why that happens?? Anyhow, I am returning home to continue school and I will keep up with your goings on while there. Hopefully I will be returning to Italy soon! Sometimes wordpress can be really frustrating! I’ve just found your ‘ Italian’ site – it looks like you saw and did some wonderful things, but your honesty is refreshing – Italy is not all ‘dolce vita’ and finding your place in a new country can be hard. Good luck with school and I hope you come back to the bel paese (as a holiday or to stay) – in the meantime enjoy reading about our adventures here! Our olives were ripe early this year, but the flavour is better than ever, more fruity notes are present. We have only a few plants so they are quickly harvested. I posted about our harvest at the beginning of this week. Glad your oil is good, I’ll check out your post. Best of luck with the harvest! What a lovely place to work. Long time , no hear…..is all OK?